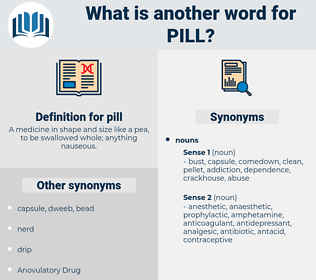 What is another word for pill? A medicine in shape and size like a pea, to be swallowed whole; anything nauseous. A fellow who has been to one school and got fired and then goes to another and is always shooting off his mouth about how much better the first school is is the worst kind of pill.
" Come and hear me next Sunday, and if you say so then, I'll quit," replied Mr. 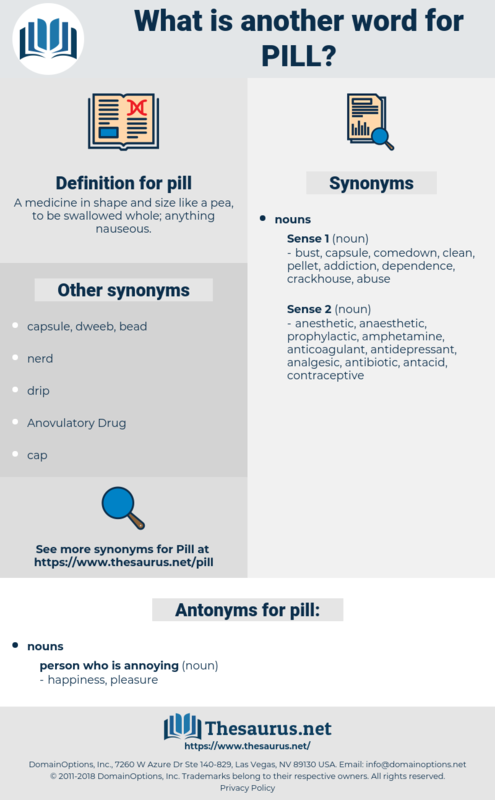 Pill, quietly. burden, incumbrance, onus, load, encumbrance.